The Broadway's Best series features the best songs from the best shows arranged for easy piano. 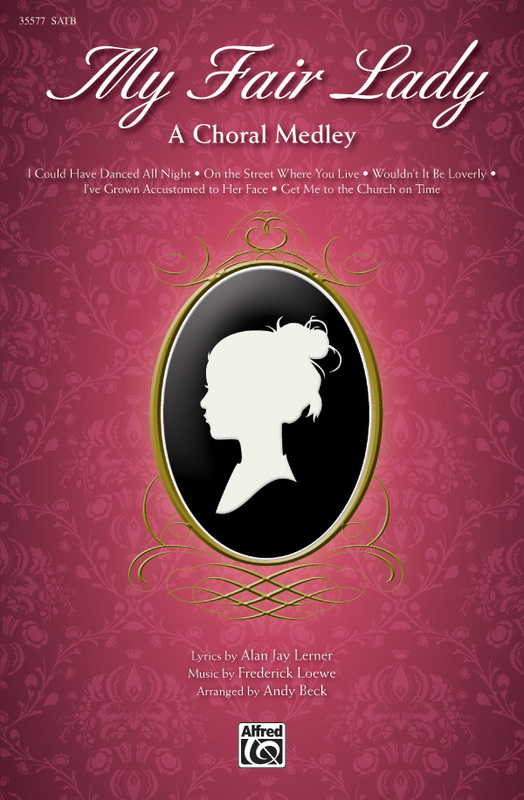 Each book includes lyrics and a synopsis of the show. This edition includes: Get Me to the Church on Time - I Could Have Danced All Night - I've Grown Accustomed to Her Face - Just You Wait - On the Street Where You Live - The Rain in Spain - Show Me - With a Little Bit of Luck - Without You - Wouldn't It Be Loverly. Play and sing songs from this classic love story now! 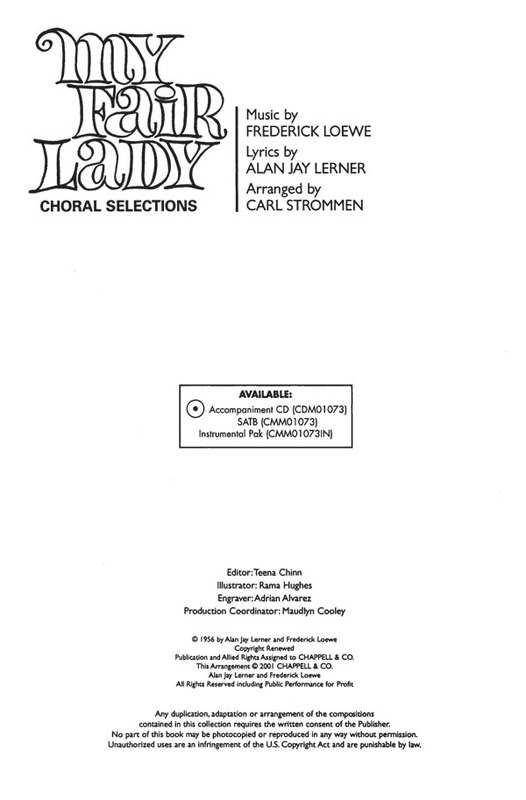 Selections from the Academy Award-winning musical Gigi include: The Earth and Other Minor Things - Gigi - I Remember It Well - I'm Glad I'm Not Young Anymore - In This Wide, Wide World - It's a Bore - The Night They Invented Champagne - Paris Is Paris Again - She Is Not Thinking of Me - Thank Heaven for Little Girls. 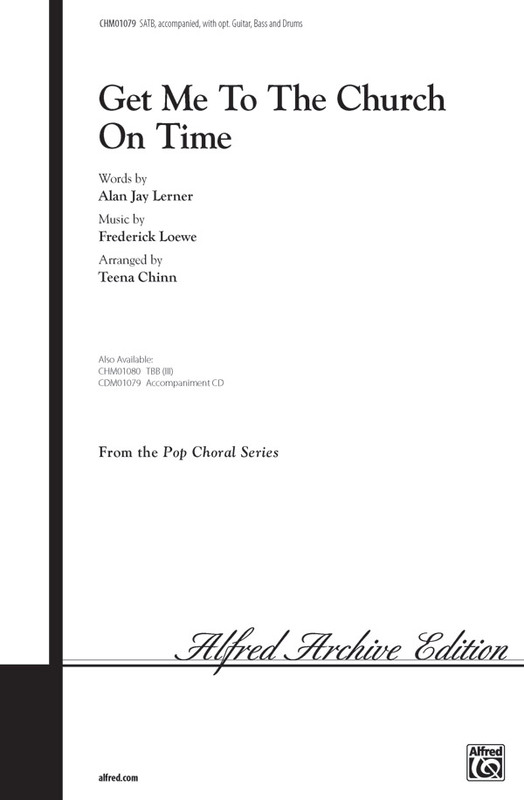 10 selections from Lerner and Loewe's musical tale of the California gold fields. Includes: Best Things - The First Thing You Know - Gold Fever - Gospel of No Name City - I Still See Elisa - I Talk to the Trees - I'm on My Way - Million Mi.Away Behind the Door - They Call the Wind Maria - Wand'rin' Star. This Lerner and Loewe hit is an American classic. It is set here as an updated a cappella version by Darmon Meader for the New York Voices - an amazing vocal jazz arrangement not to be missed. Beginning with solo and backing vocals, it soon takes off in a bright, happy bounce. Enjoy and learn from the actual New York Voices with the demo recording. Lerner, Frederick Loewe/Greg Gilpin (Broadway/Movies) The key word in this title is "danced." And what says "dance" more than "disco?" 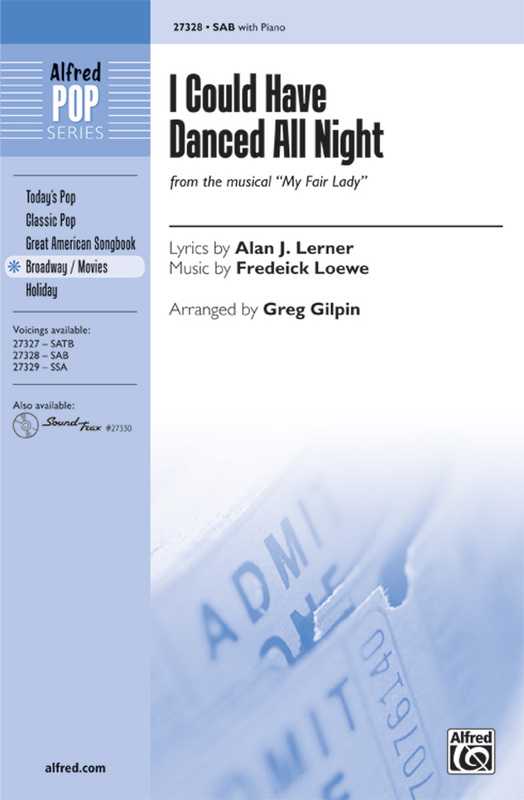 It's a retro/disco version of the Lerner and Lowe standard from the musical My Fair Lady arranged in an unexpected style by Greg Gilpin. Get out your platform shoes, leisure suits, and sing and dance it all night. Rediscover the impressive music from the Broadway and Hollywood blockbuster My Fair Lady. These indelible stage and screen songs are classics of American musical theatre and are as impressive today as when at the height of their popularity. Rich choral moments, theatrical solo opportunities, and sweeping orchestrations offer 7 1/2 minutes of first-class entertainment. The great Lerner and Loewe stage show was jam packed with fascinating songs. 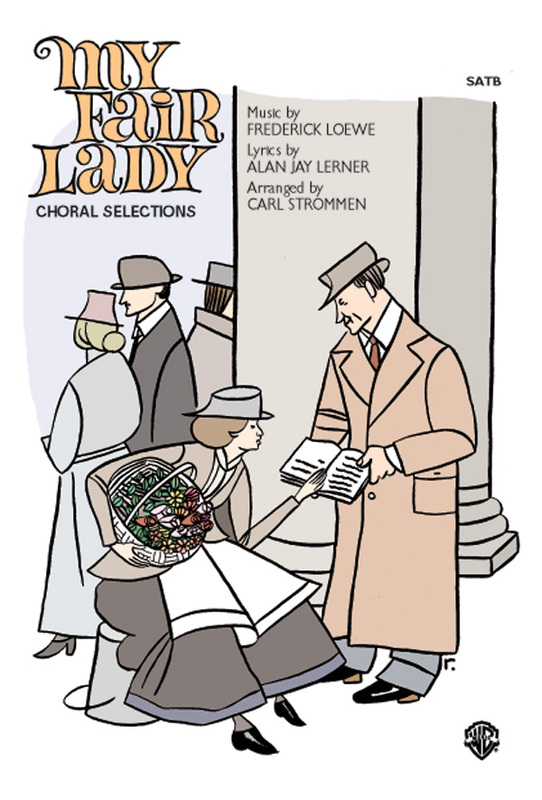 This Carl Strommen medley brings these classic Broadway hits alive again. Audiences and choirs will thrill to hear this one! Nine minutes in length. 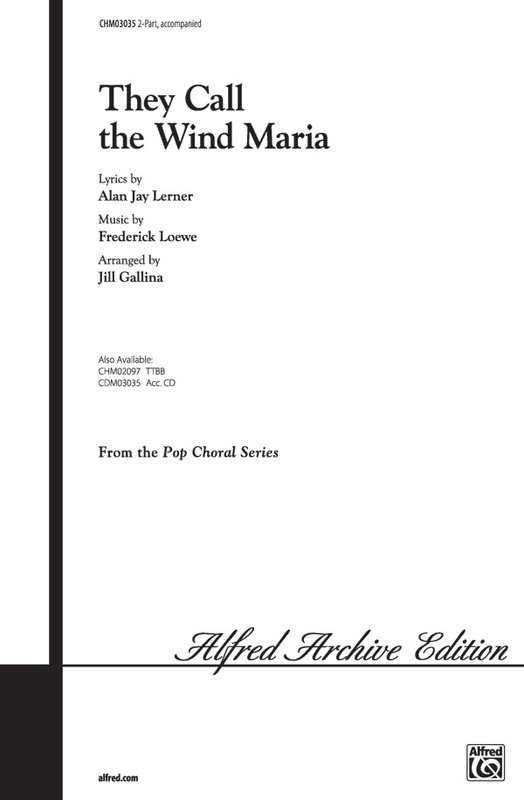 Jill Gallina has masterfully arranged this great Broadway classic from "Paint Your Wagon." Your developing young choirs will love it and your audiences will appreciate hearing it often.